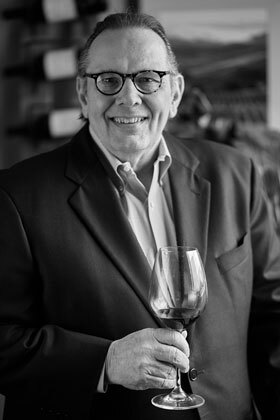 Editor’s Note: While Carl is out recovering from a surgery to repair an aortic dissection we’ve asked some of his good friends to fill in with their wise words on wine in his absence. 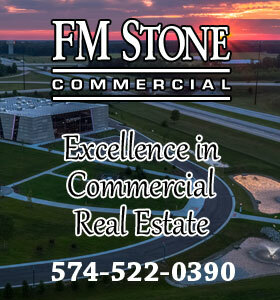 Today’s blog is another from guest blogger Tom Welsh, general manager and partner at Tapastrie restaurant in downtown South Bend, Indiana. 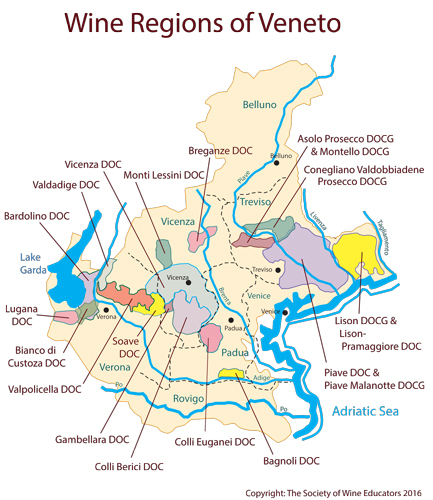 After Piedmont and Tuscany, the next most prominent Italian wine region is Veneto. This is home to a unique style of red wine, several quality white wines and also the famous sparkler, Prosecco. Veneto lies in the northeast of Italy with coastline on the Adriatic Sea. Famous cities in the region include Venice, Verona and Treviso. While its flagship red wine – Amarone – is what most people associate with the region (at least I do), more white wine is produced there than red. That is mainly driven by Prosecco and Soave (pronounced So-Ah-Ve). Soave wines are made from the Garganega grape (a small amount of Trebbiano is sometimes blended) and have a medium to full body and will exhibit flavors and aromas of stone fruits, dry herbs, honey and dry mineral. It is very versatile with food and pleasant to drink on its own. A handful of Soave wines are made with the “appassimento” method (drying grapes to concentrate sugars and flavors), but this is more common with the region’s red wines. Prosecco is a well-known sparkling wine made from the Glera grape. It too is easy drinking and fruity but more complex versions of Prosecco are emerging from the area recently promoted to DOCG status, Prosecco Superiore Conegliano Valdobbiadene (a mouthful indeed!). Other whites produced in Veneto include Lugana, made from Trebbiano, Pinot Grigio and a sparkling Moscato. There are four styles of reds made here, Valpolicella, Valpolicella Ripasso, Recioto (a sweet red made from sun dried grapes) and the king of the region, Amarone. These wines are primarily a blend of three grapes indigenous to the area: Corvina, Rondinella and Molinara, in that order of predominance. Some Sangiovese and Colorino is also used. Except for the Valpolicella, the others all depend in some way on dried grapes. 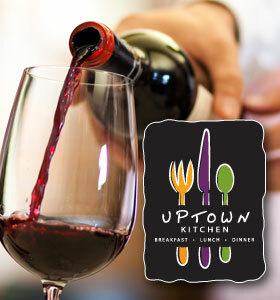 The straight Valpolicella wines are bright, juicy and acidic with flavors of cherry, berries, black currant and herbs. The sweet dessert wine Recioto is made from grapes dried after harvest until January. The fermentation is stopped before it finishes – to preserve the natural sugars. They are acidic and viscous and have flavors of dried red and black fruits, dried herbs, raisin and prune. Valpolicella Ripasso is made by “passing” (ripasso literally means “re-pass”), wine over dried grapes. Actually, fresh Valpolicella juice is fermented with the pomace (skins and pulp of the dried grapes) left from the making of Amarone and Recioto. These are still fruity and freshly acidic, but finish with a slight sweetness and a little of the raisin/prune sensation. 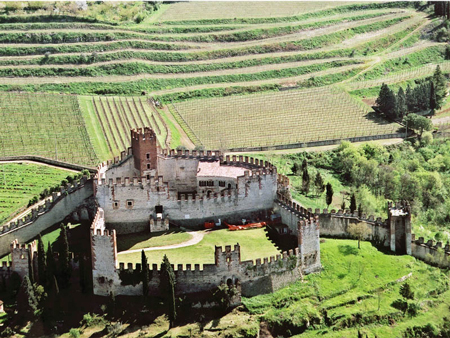 Built in the 10th century the Soave Castle is in Verona. Soave wines are primarily made from the Garganega grape. Amarone, a rich, dry, full-bodied wine, is made from fully fermented dried grapes (what Recioto would become if fermentation was not stopped). It must be aged for a minimum of two years but many producers age them longer. Amarone can age very well after release, for at least 8 to 10 years and often longer. It is an elegant but big wine, usually fairly higher in alcohol than the others and very dry/tannic in its youth. It will have flavors and aromas of stewed plum, cherry liqueur, spice, chocolate, prune and raisin. Amarone wines are usually fairly expensive because of the reduced amount of juice in the dried grapes and the time spent aging, but they are worth it! 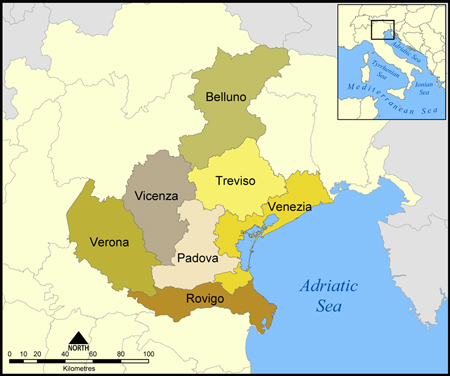 Other notable red wine areas in Veneto are Bardolino, just east of Valpolicella, using the same trio of grapes as Valpolicella, and Piave in the east where oddly, at least considering the other areas, the reds are made from mostly French grape varieties: Merlot, Cabernet Franc, Cabernet Sauvignon, Carménère and an indigenous variety called Raboso (this amounts to less than 2% of the grapes grown in Veneto). I hope you are enjoying this trip through Italy. I’ll finish it next week with a brief overview of some of the lesser known, but no less interesting regions, of this prolific wine producing country.